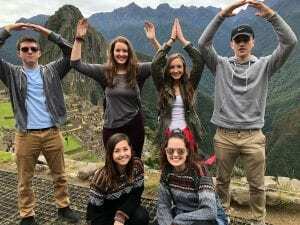 For my STEP signature project, I studied abroad in Lima, Perú for 10 weeks, what an experience. 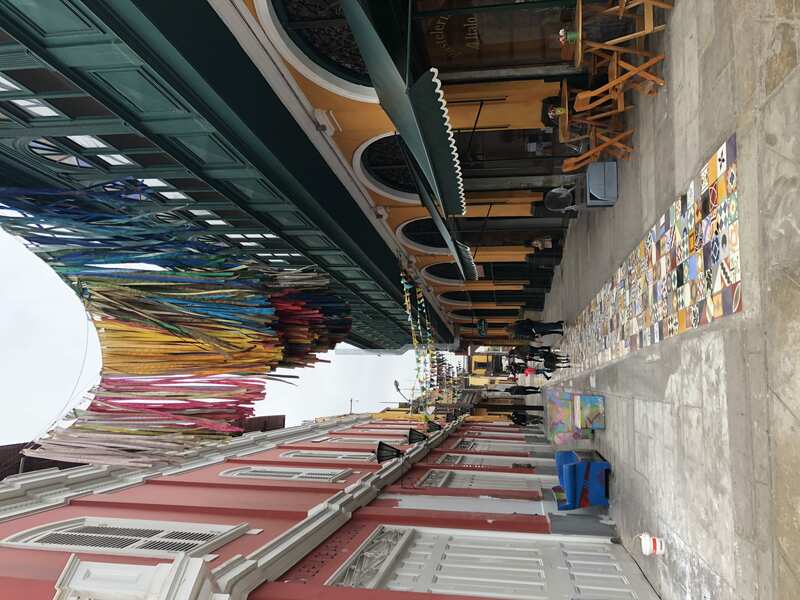 In Lima, I took two classes at a local university, Universidad del Pacífico, for the first five weeks of my abroad experience, and for the last fives weeks, I completed service-learning at a local organization called Tangram that works with kids that have learning and physical disabilities. When I first got to Perú, I was terrified but incredibly excited. Especially since this was my first experience outside of the country and in a culture completely different than my own. This experience has taught me so much about myself and honestly taught me all the things I don’t know and still have to learn. This experience changed my outlook on life and other countries and really put what I consider “big” problems into perspective. The biggest thing that came out of this is recognizing that different doesn’t translate to bad. Just because things are different or the way people do things in a different country or culture is different, doesn’t mean that it is wrong. 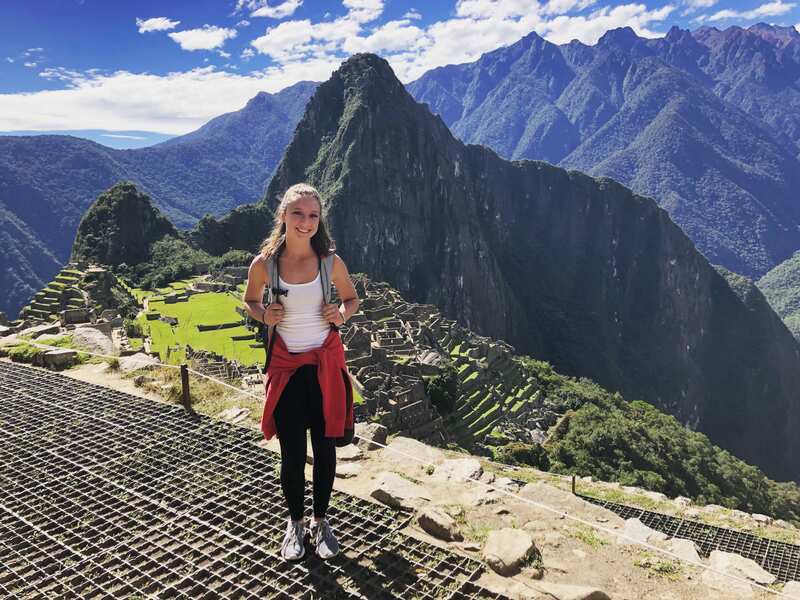 I think that going abroad, I went in with the mentality that the United States and Perú weren’t really that different because I didn’t want to go into my experience making assumptions about how different two cultures/countries, I didn’t want to distance myself from the country I was going to be living in by assuming that it was a completely different world. But what I came to find out and the mentality that I took on was that yes, they’re different, but it is in response to the needs and the situations, social and political, that make it different and that is okay. This way of thinking allowed me to grow as a person and the way I view the world. Recognizing that there are indeed differences allowed me to connect more with the culture and fully immerse myself in their way of life. By understanding why there are differences, ultimately helped me bridge the cultural gap between what I was used to, and what I was experiencing in Perú. Recognizing these differences made me realize that we really aren’t that different from one another which is what my original mentality was. But I needed to recognize the differences and why they were different in order to see the similarities between the two cultures. Although that may sound opposite, I see it more as everything coming full circle and taking me on a journey and changing my worldview to help me understand why there are differences and how these differences really bring us together and become similarities when you understand the reasons for these differences. Honestly, what led me to this change and realization are the relationships I made with my host family and my service-learning organization. Not only did these things transform me, but also participating in everyday activities allowed me to engage with the culture and the people. My host family was amazing, outright amazing and had the biggest impact on me and my transformation. When I first arrived in Perú, living with a host family was my biggest fear. I felt that the whole concept was awkward and strange and didn’t know what to expect or how to act because I was trying to go into this experience open minded and not make any assumptions about the differences that there might be. 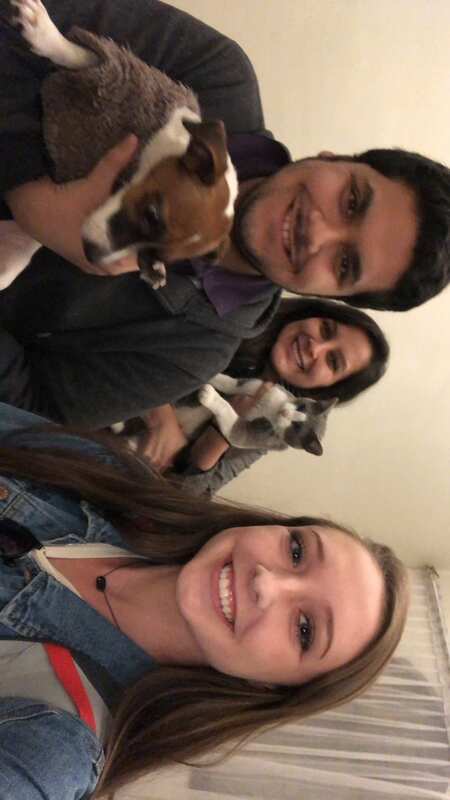 But the relationship I made with my host family allowed me to recognize the differences, but realize that these differences really brought us together and made us closer as to where they became similarities instead of differences. They became my family away from home and helped bridge the cultural gap by incorporating me into their daily lives. They would invite me to go to local markets with them, invite me to go to the grocery store, and teach me how to cook traditional Peruvian dishes. All of these things helped me go through my transformational journey. The second relationship that contributed to my transformation was the relationship with my coworkers at my service-learning placement. I spent five weeks with the Tangram organization in Perú that worked with kids that had physical and learning disabilities. I worked with a team of specialist that included a teacher, a psychologist, and a physical therapist that worked together to give four students the individualized learning and attention that they need. Of course, working with these kids that had different learning needs had a real impact on me, but it was the relationships I developed with my coworkers that really led to my transformation. 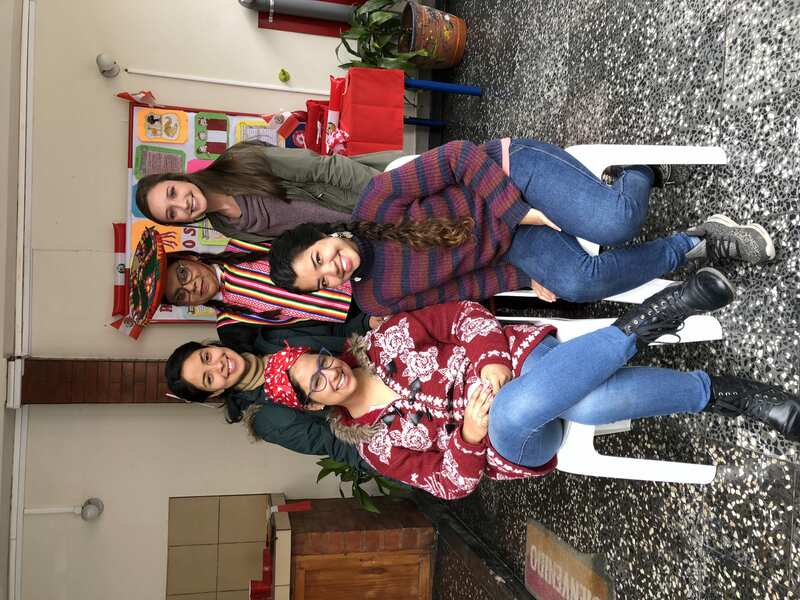 They each had their own individual story that made them who they were and shaped their worldview, and helped me learn more about the different sides of Perú. But what struck me the most was my coworker who was an immigrant from Venezuela. Some people know that the political situation in Venezuela is horrible, there is no other way to really describe it. It is really sad and unfortunate for the people living there and many Venezuelans have left the country in search of a better life and better opportunities in neighboring countries. If I am being honest, I didn’t know anything about the political situation in Venezuela until I met this coworker of mine. As I developed this relationship, I started to learn just how sad the situation was and how much this girl sacrificed by completely uprooting her life and moving to a different country with little to no money. Learning about her life gave me a new perspective on life and how I viewed my own life and even the life I lived while I was in Perú. I realized how lucky I really was and how much I still didn’t know. Yes, traveling abroad helped me learn a lot more about different cultures and ways of life, but it also taught me one of the most important lessons of how much I still have to learn. Immersing myself in this country by doing what the locals did really helped change who I was as a person and helped me realize all of the differences between the two cultures, but also helped me realize how similar we really are. Going to local restaurants and cities that strayed away from the tourist spots of Perú allowed me to “pretend”to be a local and at least engage in activities that the locals did. Although this seems like a small act, this really helped me in my transformation because a lot of my trips to these different groceries stores, restaurants, and cities were through local transportation which I did all by myself. Engaging in these types of everyday activities alone really allowed the transformation to happen because I was able to engage with the culture and people on a different level. It helped me recognize how our differences really bring us together and allow us to create similarities. This experience has impacted my life in so many ways, both professionally and personally. One of my whole goals of traveling abroad was to gain a worldview that allowed me to have the perspective to create a culturally responsive environment for my future classroom. 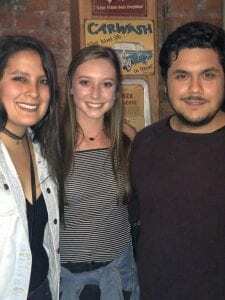 Because I want to become a Spanish teacher in the United States, I felt like it was crucial to produce an environment that promoted curiosity for other cultures and ways of life and how could I do that if I didn’t put myself in a culture and environment completely different than my own? I was always hungry to learn more about other countries but I feel like that type of curiosity is lacking in a lot of our schools today. Leaving the country for the first time ever for two whole months really allowed me to grow as a person, and really allowed me to gain the knowledge necessary to create a culturally responsive classroom. Recognizing that there are differences between cultures and countries allows you to grow as a person, but learning the reason behind these differences really lets you understand why these are differences and how they really bring us all together in the end. I am forever grateful for this experience to travel abroad and to have the experience of a lifetime that allowed me to grow personally and professionally. I cannot wait to incorporate everything I learned into my own classroom one day. 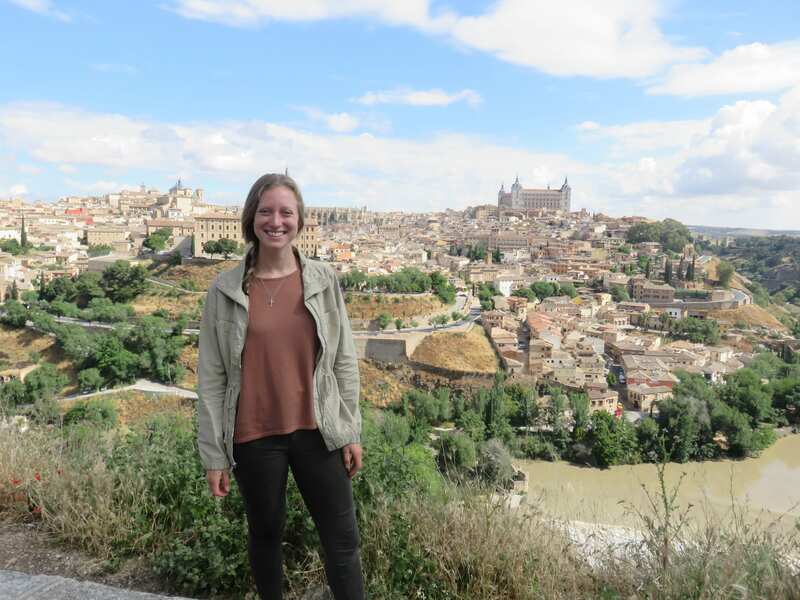 For my STEP project, I traveled on an Education Abroad trip to Valencia, Spain through International Studies Abroad (ISA) in order to study Spanish at La Universitat de Valencia. I was able to take two classes, Spanish Cinema and Spanish Culture: History, Art, and Spanish Tradition. 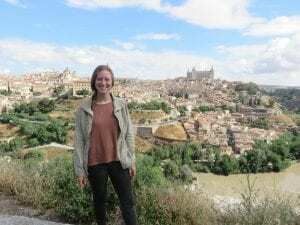 My program granted me the opportunity to live in the home of a Valencian family and travel throughout Spain on various historical and cultural excursions. My admiration for beauty and creativity in the world grew significantly while I was in Spain. 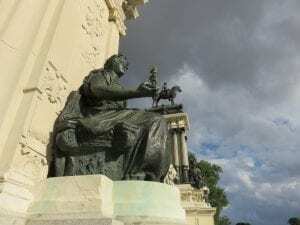 I did not realize how little I knew about Spanish art or traditions before travelling abroad, but once in Spain it was very clear that I had much to learn. Almost immediately after I met with my program group, we toured multiple palaces and art museums in Madrid. These activities instilled a perspective of curiosity in me from the very beginning of my time abroad. I took notice of many lovely elements while touring each place: the architectural styles of buildings, the colors used in paintings and sculptures, the attention to detail in baroque style buildings, the unique people visiting the same sites as my program group, and the mixture of languages spoken in each location. I believe that because I approached my travels in Spain with the mindset of a student, I continually put effort into discovering, admiring, and inquiring. My natural state was a state of active appreciation of all that I saw. My increased admiration for beauty and creativity carried over from appreciation of the fine arts to everyday objects and ordinary things. Although I’ve enjoyed socializing and knowing people for all my life, I feel that after my study abroad experience I have grown in my ability to notice small, beautiful details during my interactions with others. This has helped me absorb more from ordinary occurrences in life. Before my classes abroad, I had not been knowledgeable about the various languages, accents, or communities in Spain. I had assumed that since Spain is a smaller country than the United States there would not be so many regional differences between the people, languages, accents, foods, and sports as there are in the US. My professors explained some main differences in the regions and I quickly learned to listen closely to people as they spoke to hear their pronunciation, word choice, and the pace of their sentences in order to determine which Spanish community they were from. By taking note of these small details, I developed a greater appreciation for the simple, beautiful aspects of my everyday interactions with others and the world around me. I picked up an ear for noticing variations in the way people speak, which has helped me appreciate the different ways Americans speak as well as the way communication works in general. When experiencing something new, my first instinct is to absorb all that is around me and admire what I see. My study abroad program in Spain had a breathtaking beginning. 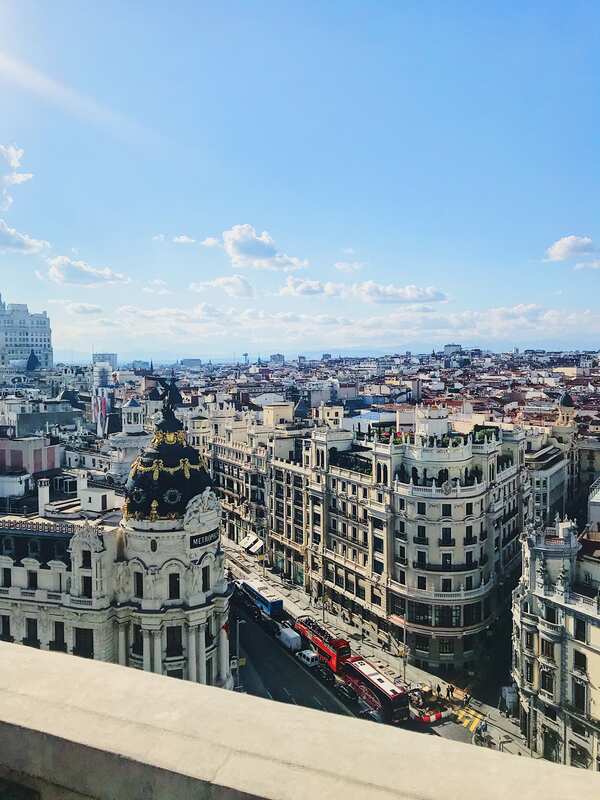 My classmates and I toured the art museums Reina Sofía and Del Prado in Madrid on the second day of our program, which was an incredible introduction to the history, art, and culture in Spain. I had never seen any world class monuments or museums before travelling abroad, which made these museums so much more overwhelming. I was able not only to see the elegance and mysteriousness in Goya’s work, the complex relationships in Velazquez’s work, and the suffering and emotion in the work of El Greco but also experience the despair, warmth, and conflict of their paintings. I was also able to enjoy the beauty of La Sagrada Familia and Park Guell in Barcelona and La Catedral de Santa Maria in Toledo. I felt myself enter a vulnerable and malleable state in these places. The exaggerated details and emotions in the painting in Reina Sofia and Del Prado lead me to look for similar details in the people that I interact with. The visible tension between many of the figures in Goya’s work has allowed me to notice the complexities in relationships in my own life, which has been quite thought provoking. Our tour of La Sagrada Familia made a great impression on me. The cathedral has been described as a forest inside of a church by the architect Antoni Gaudi himself, which is a very accurate way to describe its structure. The architecture of the cathedral highlighted the stability of trees, the influence of natural light, and the wonder of colors. All of the monuments and museums I saw conditioned me to appreciate the relationships, expressions, and details of the people and structures around me. My appreciation for relationships continued to develop through the members of my Spanish host family. It was eye opening to see the value they placed in having frequent family-time. Voices could always be heard in my family’s apartment, whether it be animated bickering between my host siblings or civil debates about education and politics. I greatly enjoyed seeing a family that was open and willing to share their most personal opinions with me. It was a beautiful thing to live in the midst of a supportive and loving family. The honesty and authenticity they have is not modelled so well in my own biological family. Although I do feel very loved by my parents and siblings, there are some aspects of openness that we lack as a family unit. Exposure to their genuinely close knit family helps me to see what it would look like for a family to share their lives openly with one another, and this gives me hope for the relationships of my future family. I also had various interactions with Spaniards not in my host family which lead me to appreciate the intricacies of their language and relationships. Before arriving in Spain, I was very dubious of my ability to speak to Spaniards. I was unsure of my verbal, comprehensive, and conversational skills. I was also rather doubtful that there would be any Spaniards interested in talking with me about my life and experiences in Spain. Thankfully, my expectations did not match reality. I was met by patient and understanding people who gently corrected my grammar mistakes and readily taught me new words. I was so happy about this because I was able to grow my speaking skills, develop friendships, and learn about Spain all at the same time. I was often asked about where I learned to speak Spanish because I spoke with an unfamiliar accent. Although this confused me at first, I soon learned that there are many different way to speak Castilian Spanish. It delighted me to discover new things about the Spanish language and it helped me to see how many different ways people are able to communicate with one another. To summarize the transformation I experienced during my STEP project, I developed my ability to recognize the beauty and significance of interactions with others. I think this matters a lot to my academic, personal, and professional goals as it has opened my mind and heart to the allure of this life. Academically, I believe my relationships with classmates will be able to flourish even more as I have grown in my ability to relate with others and communicate what I wish to express. I already valued relationships very much so this transformation has helped me to enjoy my existing friendships even more and look forward to future relationships. Personally, I feel as though I discovered the capability of my heart to experience love and appreciation for others. This sounds like a cliche, but to me it is very important to focus my mind on helping other people rather than being absorbed in my own needs. Professionally, I think that I will be able to apply the Spanish that I learned as well as the communication skills that I developed in Spain in order to better interact with patients in the future. Much of my career as a genetic counselor will involve informing patients about their genetic conditions and listening to their concerns about their diagnoses. I am very thankful that my STEP experience taught me to see the significance of the ordinary interactions I have in my life. My STEP Signature Project was the Summer Global Internship Program offered through Fisher College of Business. I was an environmental consultant intern at MRA Consulting, located in Sydney, Australia. Throughout this internship, a perspective I had before had changed in each of these sectors due to several factors. Not only was this my first internship which was relative to my career path, but it was also was abroad, in a country I have not previously been to. Around 30 students from Fisher College of Business participated in the Internship Program in Sydney, Australia, but because I am not a business major, I still felt as if I was fully immersed in a new environment and had a self-transforming experience. As my college career progresses, I am becoming more independent and confident in myself. However, working abroad by myself really tested this aspect, and I took an unexpectedly long amount of time to adjust to the new environment. However, because I felt isolated, this was an opportunity to truly reflect on myself and my passion. With limited contact with friends and family, I had time to self-reflect in terms of my future career path, as well as personal values. 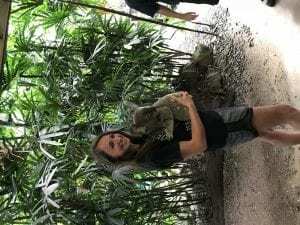 I decided to go to Australia out of the many countries offered through the program because it was the most environmentally conscious country out of the options. It was obvious that Australia’s values and morals were different from the United States, some visible through mple differences (for example, everyone here carries a “KeepCup”, a reusable mug for coffees. Most of the countless number of coffee shops offer a discount for using a reusable mug). During my internship, I had the opportunity to attend the Waste Strategy Summit Conference, and heard many speakers from major companies (L’Oreal, IKEA, Lush, etc.) and local businesses on their waste reducing strategies. This event was a valuable experience as it was the first time I have attended a conference with important figures such as CEOs and other representatives. There were a couple of guest speakers from overseas, which shared how their countries managed waste, which made the conference even more educational and further widened my knowledge on waste strategies globally. A primary interaction that transformed my thoughts on career paths was my supervisor. Because the work environment at the firm was very casual, I could easily approach my supervisor and coworkers for any questions or discussions. My supervisor was very considerate and helpful in trying to make my experience worthwhile. The activities and tasks I accomplished during my internship experience contributed the most to my perspective on the waste industry and environmental consulting. As an overall summary of what my experience was like: My first and primary task was measuring the firm’s carbon footprint. I also assisted coworkers on tasks such as researching and calling potential clients. I also assisted coworkers in an Illegal Dumping project for the local city government, including report writing and presenting to the board. My main project during the internship was maneuvering the firm toward carbon neutrality. A document named the National Carbon Offset Standard for Organizations, offered by the Australian government was the only resource provided to me as a foundation. Using this document, in addition with many others which I have found, I calculated the current carbon footprint the firm is responsible for. This project took over the course of the entire internship due to a long wait time for information (especially for electricity, water and wastewater usage). There were many numbers that were estimated and conservative, but I believe I left a good foundation, in case they decide to re-evaluate their carbon footprint. I finished up the project with a short report on the process, results, and possible routes the firm can take toward carbon neutrality and becoming certified as a carbon neutral organization. Most of my time was spent assisting other coworkers in researching and calling clients. Whenever any assistance was needed, I received a quick debrief on their project and tasks that needed to be done. They were very concise with what they needed, so I had no problem carrying out the tasks, and it was a rewarding experience because it gave me an insight on projects my coworkers were working on. I took on a wide range of tasks and experiences, and grateful that my internship experience was interesting and provided different experiences outside of the office. Though my interactions with clients, and experiencing how environmental consulting is like, I was determined to pursue environmental consulting as a career path. I believe this transformation in mindset was valuable and necessary because I developed academically, personally, and professionally. Through the many projects and tasks, I was exposed to many important topics and learned a great deal by researching and through difficulties that appeared during projects. I also greatly developed personally by placing myself in a completely unfamiliar environment. This gave me a chance to reflect on my career interest because I came to Sydney to get real-life experience in environmental consulting in an environment-conscious country. Although there were times where I found myself bored at my internship, but that was when I was doing busy work. Because most of my time in Sydney was devoted to the internship, the fact that I enjoyed my time there made me realize that I had a passion for environmental consulting. Finally, I developed in the professional aspect through my first internship experience, where I worked in a professional setting. In addition to achieving professional mannerisms, I had first-hand experience on the difference in cultures while studying abroad, and gained a larger perspective on how Australia handles waste and resources. I am very glad that my first internship was abroad, because I can apply the experiences and perspectives I had abroad to any future internships or jobs. My STEP Signature Project was studying abroad through the program Environmental Studies: Ethics, Culture, and Sustainability in New Zealand and Australia. This trip enabled me to join up with other students from around the country to study our environment and how we impact the world around us. My program included a large number of hands-on activities, such as hiking and animal interactions, to gain a deeper understand of the topics we were studying and discussing. Going into my program, I didn’t quite realize how much of an impact on our Earth I have as an individual. I thought I had a firm understanding on the steps I can take to live a sustainable lifestyle, but now I realize that there are an unlimited amount of little life changes we can make to care of our world. I learned how important it is to care for our world and everything that lives in it, from people to the tiniest of organisms we tend to forget about it. Not only this, but my trip abroad gave me new self-confidence and the belief that I am capable of accomplishing tasks I never believed I could before. There were many key aspects of my signature project that led to these transformations in my life. First, spending a significant amount of time isolated in the nature over the course of my trip gave me time to grow more in love with our natural world. Having the time to spend camping and hiking without the distraction of technology and other man-made objects gave me the opportunity to realize how little of what we think we need to live (social media, air conditioning, etc.) is actually needed. It also gave me the opportunity to reconnect with our Earth and see how much beauty and life there is in what is untouched by humans. It helped me to see just how important it is that we do our best to preserve it the best we can. There were many places we stopped in both Australia and New Zealand to learn more about how to care for our environment and to live a sustainable life. One of the stops that had to most impact on me was Camp Glenorchy, a small resort in New Zealand that aims to be as sustainable as possible. They have showers that turn off automatically after seven minutes, everything is completely solar powered, and they use compost toilets. It helped me to see that you can still live comfortably while still working to care for our Earth. Another stop we made during the trip was to a Wildlife Habitat. This helped me to see our important it is that we care for the animals we share Earth with and how we need make it more of a priority to keep them safe and protected. Many events transpired over my time abroad that helped me gain more self-confidence. While there, I was challenged to try things I have never thought about doing in my life. I stayed multiple nights outside without anything but a sleeping bag, rock climbed, and came in close proximity with dangerous animals. I even faced one of my biggest fears of bungee jumping with a few of the other students. These new experiences helped me to see that I’m capable of doing just about anything I set my mind to. Having the encouragement of everyone else on my trip and a solid support system that became stronger and stronger as the month progressed, I realized that I have the ability to make the most out of my life by facing my fears and challenging myself to become better every day. This transformation is significant in my life on multiple levels. In the future, I plan to teach the Life Sciences at the high school level. Having a deeper understanding of how we impact our world and how to properly care for it will help me to show these values to my future students. Understanding how important it is to care for our Earth, and now understanding better ways to do so, will give me the opportunity to pass this knowledge on to future generations so they too can hopefully decide care for our world. Not only this, but my new-found self-confidence can help me in academics, professional settings, and everyday life. I now know how important it is to pursue what excites you, even if it’s scary at first. Whether it’s getting through a challenging class, going for my dream job, or any other task that is difficult for me, I’ll be able to overcome these challenges to face another day. 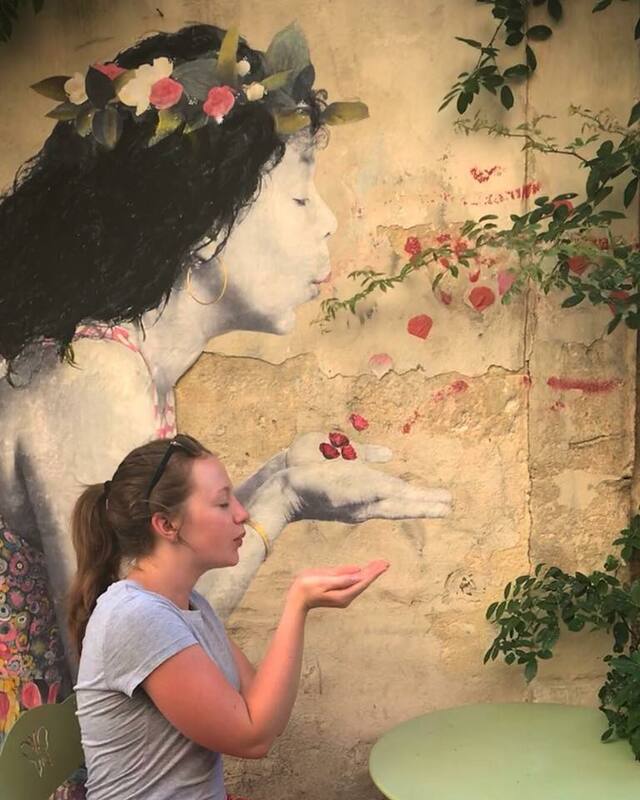 My STEP Signature Project was a four-week education abroad trip in Montpellier, France. I spent four hours each weekday in a classroom learning French with students from all over the world. Staying with a host family, I observed and truly absorbed some unique customs of this southern region. While in Montpellier, my understanding of time and how it affects me was transformed. Time in France, I discovered, is seen as an “unlimited good.” In the United States, time is seen as a “precious commodity” (Paige, Cohen, Kappler, Chi, & Lassegard, 2006, pp. 64–67). Therefore, the French follow a polychronic time orientation more so than we do in the United States. This American monochronic view of time I traveled to France with was noticeably altered after I lived as a member of my host family and culture. A couple weeks passed before I became used to the daily routine and expectations. Not only did the schedule differ greatly from home regarding times and durations of meals, but the enjoyment of time dedicated to loved ones seemed more significant. 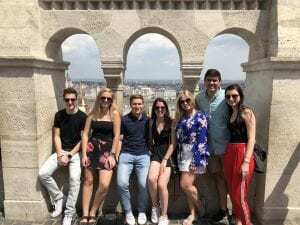 I felt deep appreciation associated with quality time in Montpellier and hope to create the same sort of experience for my family and friends back home. One event that led to my time orientation transformation was a weekend getaway to Barcelona. Although this event did not occur in France, it proved to be a perfect opportunity to compare what I had been noticing in my host country with customs of a neighboring country. People in Spain seemed to view time as an unlimited good even more than the French. As an example, dinner happens around 8:00 or 9:00 pm in France but after sunset in Spain. Walking around the city with my friends at 11:00 pm, I caught a glimpse of a large family eating dinner, laughing, and engrossed in conversation. At this same hour, I saw young children journeying to the market with their parents. Even my last moments in Barcelona were influenced by a difference in time orientation. I ordered an Uber to take my friends and me to the bus station. Our driver took twice as long to arrive than my Uber app accounted for, so my friends and I almost missed our bus back to France. Fortunately, this bus did not leave promptly at its departure time. We rushed from our Uber to the bus, luggage in tow, and miraculously boarded just before it pulled away from the station. My favorite part of the whole trip to Barcelona was these Spanish men yelling, “Run, Forest! Run!” as we frantically sprinted past them. The irony of this weekend getaway where I gained a new perspective on time was that we only had 24 hours to explore and were forced to hurry from place to place. Another event that led to my time orientation transformation was an end-of-the-school-year festival that my host brothers’ school held. This festival happened on a Friday when I had a paper due. I did not finish my paper before I was summoned by my host brothers, as they were ready to walk over to their special celebration. I assumed that we would be home in two hours or less, so my paper could wait until then. To my surprise, the festival lasted for five hours. There was cheap food and live music, so parents chatted happily amongst themselves as their children played. It was a very entertaining occasion, and I met many kind and curious people. A couple hours in, I felt as if I should part ways and head home to finish my essay, but I did not want to offend my host mom. I feared she might misunderstand and think I was not having fun. Because we did not return home until after 11, I ended up falling asleep while typing. Finishing my essay the following morning, I turned it in with an explanation of my tardiness attached. The professor replied with enthusiasm, “You have just chosen to experience the culture in Montpellier! Congratulations! You have chosen to experience polychronic time (and jump right in), rather than go with a US style monochronic deadline! Hooray! This is very significant Hannah!” (B. Stone, personal communication, June 16, 2018). I felt encouraged and grateful after reading her response. There are so many possibilities beyond my limited view of time that I have not yet fully discovered but was beginning to taste. A third event that led to my time orientation transformation was the most influential of all. My host family brought me with them on their mini-vacation to Collioure. This fishing village on the Mediterranean was indescribably and unbelievably gorgeous. The property where we stayed sat atop a mountain which was bright green with rows and rows of vineyards. We took a 40-minute hike into town and I snapped pictures that could barely capture the true magnificence surrounding us. In town, buildings had vibrant-colored shudders, doors, and flowers. The clear water reflected colors of sapphire, turquoise, and aquamarine all at once. Boats sailed near a rocky coast and hundreds of locals tanned on the sand. I was so in awe of everything around me and pleased beyond words for this opportunity, but I also had a moment of isolation and despair. My host mom, Olivia, needed to hike back and pick up our car, so she asked if I could stay with her sons for an hour or so. After she left, I realized how awfully helpless I would be if anything went wrong. I did not have the right vocabulary for any sort of emergency, or even to scold the boys when they acted out or fought. It was an hour of pure tension, so when my host mom returned, I went to the bathroom and cried. At dinner, Olivia saw my tears and reassured me that everything would be okay. Looking back, I realize that hour of pure tension was also purely beautiful. Instead of praying that the seconds would tick by faster, I could have focused on the sounds and sights of Collioure and the boys’ joy as they skipped rocks on the water. I could have focused on the positives of bonding with my host brothers and giving Olivia respite from their bickering. Although we spent that hour in such drastically dissimilar ways, it led Olivia and I to a closer relationship. I finally burst after bottling up my feelings, and Olivia showed me compassion. I learned to cherish time spent in hardship because of the good that can result. 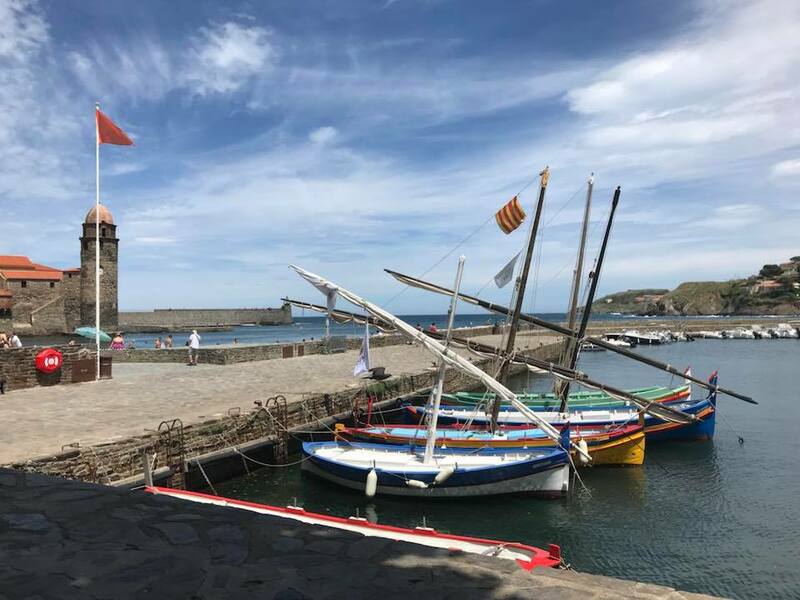 Despite how it sounds, that weekend in Collioure was the highlight of my education abroad experience. In the aftermath of hopelessness, I gained a deeper understanding of myself and how resilient I could be. The weekend is symbolic of my STEP Project as a whole. I endured trials, adapted accordingly, and grew in spirit and confidence. The transformation that took place in me will be valuable for my future as a teacher. I will need to understand variations in time orientation for a diverse classroom of students. The students, especially my English Language Learners and students with disabilities, deserve my compassion and grace when they struggle and need extra time on assignments and tests. With a shift in perspective, I can see time as unlimited and students’ possibilities as endless. Paige, R. M., Cohen, A. D., Kappler, B., Chi, J. C., & Lassegard, J. P. (2006). Understanding the ways cultures can differ in values. In Maximizing study abroad: A students’ guide to strategies for language and culture learning and use (2nd ed., pp. 63–75). Minneapolis, MN: Center for Advanced Research on Language Acquisition, University of Minnesota. 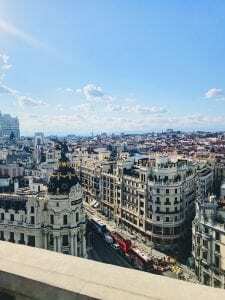 My STEP project included interning in Madrid Spain with Deloitte. We worked with new technologies to try and help other businesses become more efficient. I transformed in a way I didn’t expect to while in Spain. I went on this trip not knowing anyone else in the group. That was a bit intimidating for me especially being in a country I’ve never been to before. What I learned is that I can go out of my comfort zone and make friends with new people while learning a new country. I put myself out there and met great people while exploring the country. I was nervous about it but it worked out very well. I was also able to adapt to the language barrier better than I expected. I didn’t know any Spanish before the trip but I was able to learn quickly and put in an effort while talking to Spaniards. Spanish became something that I somewhat learned but never expected to. I took French in high school so this was new to be and went better than I thought it would. 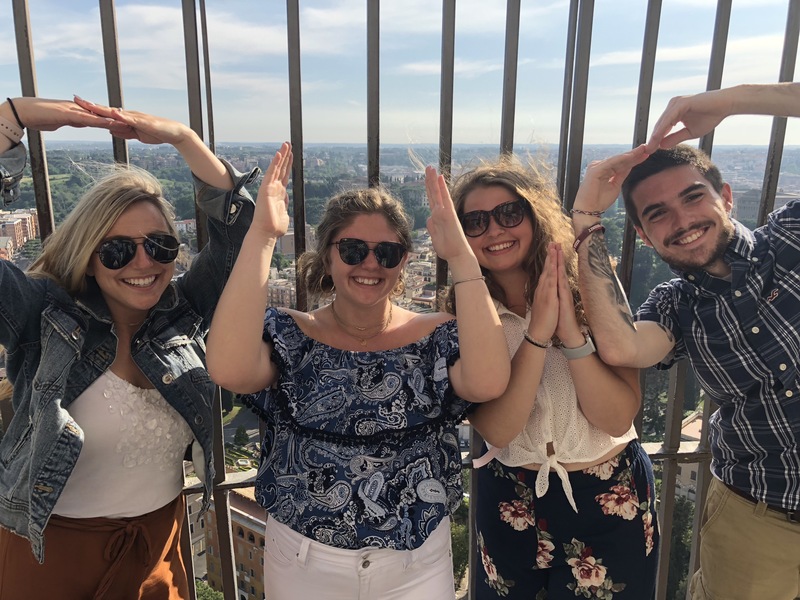 When it came to meeting people, working with two other Ohio State students at Deloitte really helped. We became close when we took a work trip to Salamanca our first week there. We explored an entirely new city to all of us together. We also innovated together and came up with new ideas for the company for two days straight so we were able to learn about each other through that. Another relationship that I built was with my roommate. We bonded fairly quickly and it made it easy to make a good friend in the beginning. We went to dinners together after work and saw Madrid. I was able to have that one person I could feel comfortable with in a brand-new city. We had a lot in common and I am glad we got to explore the city together. I know I will stay in touch with him after this summer. A friend I made on the trip spoke fluent Spanish. She is from Colombia so she was an excellent Spanish speaker. When we would go out in the city she would make it easier for me to pick up on the language. I could observe her talking to Spaniards and then ask her afterwards what they were talking about. It was a good way for me to learn phrases and understand certain words and their pronunciations. She helped me adapt to Spain quickly and expand my knowledge of the Spanish language. This is valuable to my life because I will always need to be able to build new relationships. Something that I am not great at in the beginning but this experience improved that in me. I feel more confident meeting new people especially from different backgrounds. This will carry into my work life when I get a job or switch jobs. It will also help when I move to a new city and have to make friends there. I have a very broad perspective on different people around the world and how they live their lives. So I will be open minded when people have different ways of doing things or speak different languages. I respect that and will always want to learn more about their cultures and ways of life. During my STEP project, I did a study abroad. I went to London, England and Rome, Italy. We were there for the whole month of May, and it was an amazing time. I experienced a great change in myself. I really learned that I enjoy educating people. I have studied Classics at Ohio State for the past three years. 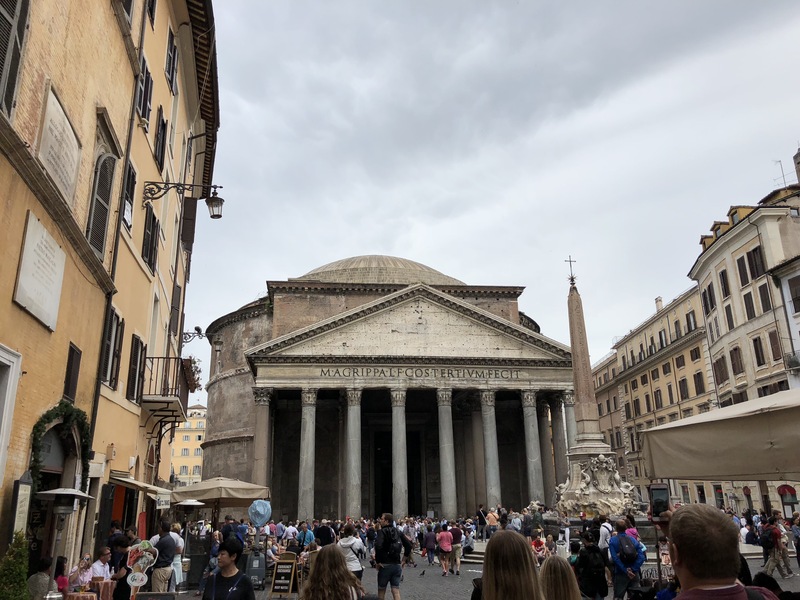 During our time in Rome I found myself constantly spitting little facts about the city, the Romans, the architecture, or the history constantly. I really enjoyed educating my fellow students about Roman history. I found out about myself that I want to pursue education. I think the whole trip was a sort of transformation for myself. Im not a very social person. I tend to stick to myself and not really reach out to people or outside of my comfort zone. The whole trip I was able to get close to twelve whole new people in my life. I was also able to educate them about things that they did not know before going on this trip. I loved educating people about Roman history. I have been studying Latin since my freshman year of high school. I have learned so much about Roman history through the ancient language. 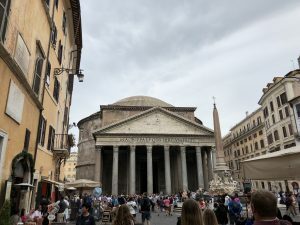 I have only seen some of the art, architecture, and city of Rome through books and pictures. It was amazing to see it all in person and finally feeling like what I was learning was real and not just in books. I loved sharing my knowledge with my fellow classmates. This change is huge for my personal life. I really did not know what I wanted to do after graduating. I had no idea if I wanted to do more school, or move home, or what. I now know that I want to pursue education. I think I’m going to pursue getting my education license to teach History or Latin. I only have one year left of undergrad until I pursue my next chapter. This trip really helped me decide what I wanted to do after that. My STEP Signature Project was a five-week education abroad program to Barcelona, Spain during the 2018 summer semester. While in Barcelona, I took two advanced Spanish classes at the Universidad Internacional Menéndez Pelayo (UIMP) for credit towards my Spanish minor. I stayed with a host family and a roommate, who also participated in the same ISA study abroad program. 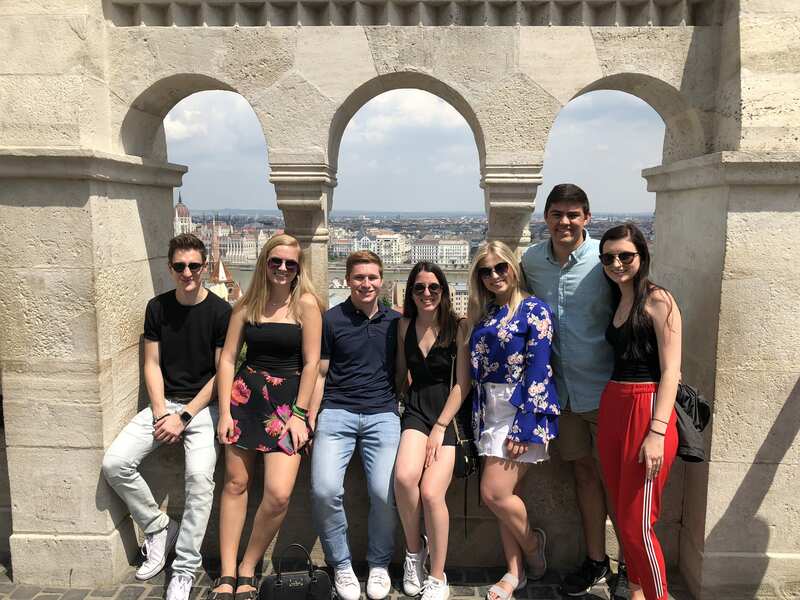 The ISA program offered a variety of excursions and guided tours around Barcelona and surrounding cities in order to better educate and integrate the students into Spanish culture. Some of the excursions included a weekend stay in Valencia, Spain and Costa Brava, Spain. We also took guided tours of some major historical landmarks in Barcelona such as the Sagrada Familia and the Gothic quarter. Before my education abroad, I had never lived, nor stayed, an extended amount of time in a large city, much less, a European city. In fact, I had never been to Europe before! So naturally I experienced culture shock; a range of feelings starting with excitement and awe, followed by frustration and homesickness, and hopefully ending in assimilation and adjustment to the new culture. Like I said, having never lived in a large city before, I initially struggled with the constant hustle and bustle of Barcelona life. However, throughout my stay I adjusted and learned how to relax among the strenuous complexity of city life. This entailed gaining a better sense of direction. I finally learned how to read a proper map, not relying on GPS apps but rather on my own sense of direction and knowledge. It’s amazing how much more you get to experience of the local culture when you can independently get yourself around the city without being glued to your phone! This transformation program also helped me become more flexible. Plans change a lot while traveling! For example, friends change plans quickly, transportation mistakes are made, such as hopping on the wrong bus to class, or flight cancelations, all of which could be terrifying while traveling alone. However, these experiences and/or mistakes have forced me to become more flexible and have taught me to solve similar problems in a calm and proactive way. Before, any last-minute changes in plans would have given me anxiety and now I am more capable of adapting to any change in plan. 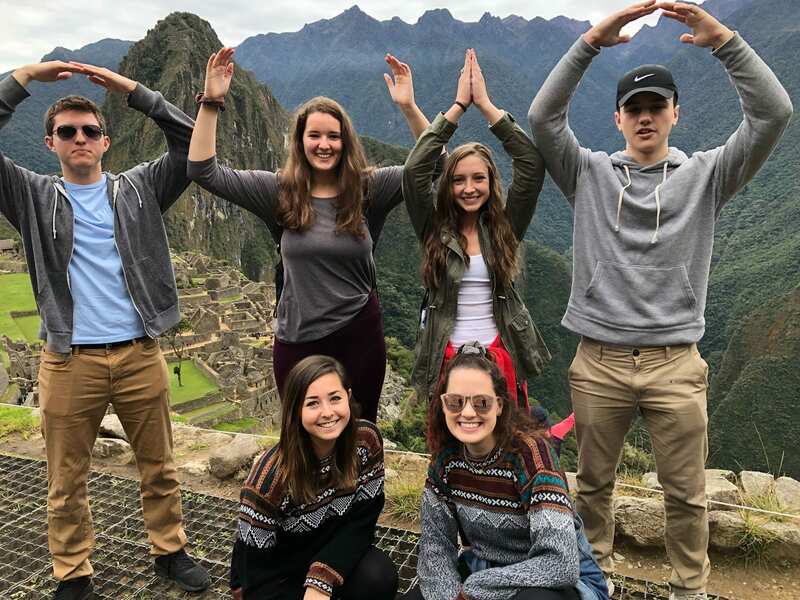 In addition to being more flexible towards changes in plans, studying abroad also helped me learn to be comfortable in uncomfortable situations. For example, living in a stranger’s apartment and speaking a foreign language are uncomfortable and sometimes awkward situations, at least at first, that you have to adapt to and get comfortable with really quickly when you are studying abroad. Rather than dwelling on the luxuries that I missed from home, I embraced the new style of living. I wasn’t able to take long showers or cook for myself so I had to change my routines up and find local foods that didn’t require any cooking. Eating out is a great way to interact with locals and practice speaking Spanish. Unfortunately, at first, it was fairly apparent to the locals that I was not from Spain so they would speak English to me from the get go but as my language skills and confidence improved it became easier to fit in. I truly learned to embrace the “fake it ‘till you make it” mentality. I used to struggle with self-confidence and focused too much on what I couldn’t do. Now I realize that even if I am not totally capable of something, if I proceed with confidence, things will turn out a whole lot better than if I quit early without even giving it a shot because I thought I couldn’t do it. I tend to identify myself as an introvert so making new friends and being social can be a struggle for me sometimes. This opportunity has pushed me out of my “social” comfort zone and allowed me to make new friends. When I realized that my classmates are all going through the same culture shock that I was experiencing it made it easier to relate to them because we were all in the same boat, struggling with the same feelings. This allowed us to connect on a deeper, more personal level that I am not used to sharing with other people. Learning how to express my feelings and be more open towards friends and family will allow me to make deeper, more meaningful, and longer lasting relationships. I used to worry that I didn’t have a large group of friends at home. In today’s society people place a lot of importance on popularity and having lots of friends and followers, especially on social media. However, I am now more comfortable with the fact that I prefer cultivating deeper, more meaningful friendships than cultivating a large following on social media. As an introvert I sometimes prefer to be alone and do my own thing to recharge rather than going out with lots of people. While abroad I had to listen to my mind and body more to know when I needed to stay in to recharge so that I could enjoy myself later without getting too bogged down. Lastly, this experience has helped me to put small daily problems into perspective. I used to get anxious over small life issues that I may not even have any control over. This causes a lot of unnecessary stress. When you are introduced to different problems and lifestyles it puts the world into perspective. Although I still believe that punctuality is important, I do now realize that being a few minutes late to class or to an appointment is not the end of the world. My roommate was very laize faire when it came to leaving in time for class or to excursions and I would stress out that we were going to miss the bus or be late. Even if we left a few minutes late, we always ended up making it in time and there was no point in stressing out as much as I did. I’ve learned that everything works out alright in the end and there’s no sense freaking over small things. Put things into perspective! I believe that my STEP education abroad has better prepared me to handle future, possibly stressful situations, such as pursuing a career in engineering. Although my project focused on the Spanish language and not necessarily on my major, I do believe that it has taught me communication skills and problem-solving skills that I will be able to apply to my future career. Flexibility will allow me to deal with a range of changing problems. Speaking a different language really enhances your ability to think on your feet, quickly, and to improvise when necessary. Lastly, coming out of my introvert shell and working on my communication skills will aid me in the interviewing process when I start pursuing a career. Despite the few moments of doubt and homesickness that everyone experiences while abroad, my study abroad experience was extremely positive and rewarding. I have new skills that will aid me in my future endeavors and I have a new desire to travel and experience more cultures and lifestyles. I couldn’t be more pleased or grateful for this opportunity! For my STEP Signature Project, I went on the Trim and the Blackfriary study abroad program. This trip was partnered with the Blackfriary’s Field School, and for four weeks in June, I excavated parts of the site. Instead of being a simulation or an explanation in a textbook, I worked on a live site where the features we found actually contributed to the understanding of the Blackfriary. While completing my STEP Signature Project, I found that I grew not only in experience and knowledge, but in my understanding of myself. I found that I grew more confident in myself and my actions, and I became more situationally aware of the world outside the United States. Stepping out of the bubble that is my ordinary life allowed me to expand my perspectives. 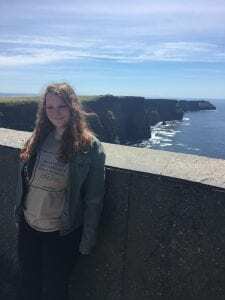 I became more aware of the political situation in Ireland, including the effects and concerns about Brexit and the tension between the Irish and the British. I also gained crucial experience for any aspiring archaeologist: working on a field school. But to even get to Ireland, I needed to overcome my anxieties about international flight and flying by myself. Before I left, I was making myself sick with anxiety about my flight, from being alone on it, to going overseas for the first time, to being worried who’ll be sitting next to me for six hours, to getting my money exchanged, ect, ect… However, once I got to Washington Dulles airport, I navigated myself through TSA and all other checks with excitement at the trip awaiting me. When I got to Ireland, and throughout the trip, I found that I gained more and more confidence in myself. By the end of June, I felt like I could take on the world. I was proud of myself that I stepped out of my comfort space, and with the help of the friends I made on the trip, I gained the confidence I never knew I could have. During our stay, we lived with local families in Ohio State’s first attempt at doing home-stays for this trip. 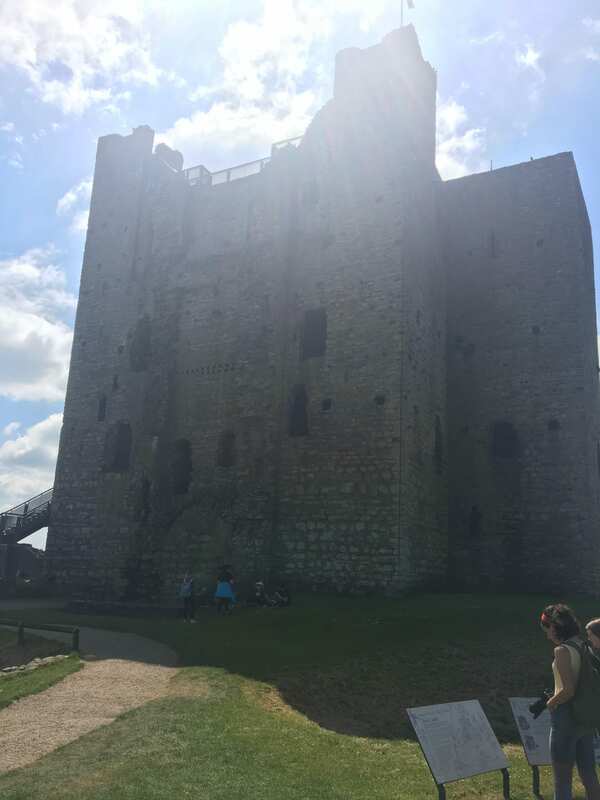 I thought it was really successful because, instead of being insular and all of the students staying in the Knightsbrook Hotel, we stayed with families that were active in the community and had their own perspectives on not just the site, but the world as a whole. My eyes were opened to another perspective on recent events and global history, such as the lasting effects of British imperialism on Ireland. I felt more connected to the community of Trim, and I feel grateful that I had this amazing opportunity. This trip also was transformative for me in terms of what I envision for my future. It is one thing to read about proper field techniques in a textbook, but it is another thing entirely to participate in a field school. Throughout the month, I was excavating the site and gaining first-hand knowledge about proper techniques and methods. I did both excavation and post-excavation work; both were surprisingly enjoyable. I wanted to attend this trip so I could gain experience, and I found that I liked it more than I ever thought I would. These transformations that I experienced in this trip will be exceedingly valuable in my life from here on out. I could see myself doing what I did in Ireland for the rest of my life. I am excited to go into either archaeological fieldwork or museum preservation, which I both did in Ireland through excavation and post-excavation, respectively. I am looking into a historical archaeology doctoral program for after I graduate, as both archaeology and history are being utilized at the Blackfriary site. Anthropology and history are my majors as well. I am also using this credit as part of my Medieval and Renaissance Studies minor. I am also grateful for the confidence that this trip has instilled in me, as I have had problems overcoming anxiety before. After this, after surviving Ireland for a month, I could conquer anything that life throws my way. I am excited for the future and what it may hold. 1) Please provide a brief description of your STEP Signature Project. My STEP Signature project was studying abroad at International Christian University (ICU), in Tokyo, Japan. For 10 months, I immersed myself in Japanese language, society, and culture as I studied about Japan and the Japanese language as well as other topics such as translation and linguistics. 2) What about your understanding of yourself, your assumptions, or your view of the world changed/transformed while completing your STEP Signature Project? I went to Japan thinking that I would become more independent or confident through being on my own in a foreign country. While I do think I had some progress in these departments, they don’t feel like a transformation to me. The biggest change that I found is in my understanding of my limits. Whether they be physical or mental, I have always had a very rational understanding of what I can do, and what I can’t do. I’m rather sorry to say, I think I give up too easily, or at least I did. They say, “When the going gets tough, the tough gets going” but I really could never consider myself as one of the tough ones, and I was fine with that. 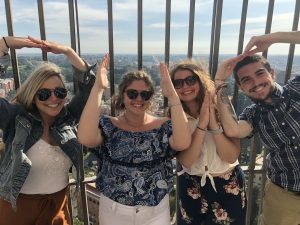 It may sound cheesy, but that really did change on my study abroad. 3) What events, interactions, relationships, or activities during your STEP Signature Project led to the change/transformation that you discussed in #2, and how did those affect you? Although I attended more classes than can be managed comfortably, the biggest learning experience throughout my stay came to me not through school, but through a club I had joined: the Wondervogel club. In the US, this name sounds German but means nothing, but throughout Japan, many know that it is referring to hiking. 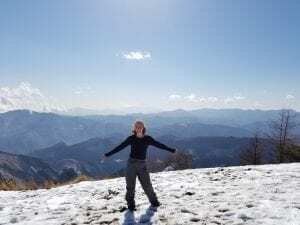 I joined this club to be more adventurous and as a means to see more of Japan. I had neither an actual interest in hiking nor the stamina to think that I would stay in the club for long, so it was also more of a whimsical decision. My first hike went quite as imagined. I died on the way up, was okay on the way down, and loved the gorgeous view from the top, making me want to go on another. So I did, to about the same effect. It was the third hike that changed things for me. This hike, instead of one day, lasted for three. If I had thought that I was prepared, I can only say that I was a fool, because about 1 hour into the hike I already felt like I couldn’t continue on. I could hardly imagine hiking until the next break, let alone for the next 3 days. I truly thought I might pass out at any given moment. That day, we hiked together for over 8 hours. That evening, when we reached the camp site, I felt like I could barely stand. It was already starting to get dark, despite our early start, and we still had to put up our tent, not to mention make and eat dinner. I didn’t even want to stay upright, but I still helped along with the 4 other club members that I was hiking with. Not only was this my first time putting up a tent, it was my first time camping, and I had absolutely no clue what I was doing. It felt like ages before we finally crawled in, and to not much relief, considering we were camping on about a foot of snow. The sudden stillness made the chilly air become freezing. The food the club president prepared, Japanese curry, was great but I was almost too tired to eat. That night I slept in a tent barely big enough for the five of us, wearing every article of clothing I had brought along, in a sleeping bag that was just big enough for me to fit in, on a very flat sleeping mat. By the time we had to wake up at 4am, I was tired from lack of sleep, from the previous days efforts, and panicking that I wouldn’t be able to last. The second day was the same as the first. The third day was also no relief. To make matters worse, the snow was slippery, the paths were sometimes thin with a very scary cliff to one side, and I had fallen landing with my nose on a rock. At this point, you should be wondering either why I put myself through this, or why I’m complaining about it, and that is because I am proud. Even through all of these hardships, I continued to trudge on. I often times would have to go almost into a state of meditation in order to keep pace with the rest of my group, but I still managed. When reaching each peak, I would be rewarded with probably the most stunning views I had ever seen. I also, surprisingly, maintained an upbeat attitude, even mustering the strength to build a snowman on one particularly snowy peak. I learned that even as I reach my physical limits, that I can still continue on, bulldozing past them. I also learned, that it’s impossible to break these limits alone. I know because I’ve tried. A beautiful view is not enough to torture myself, and certainly not enough to do it more than once. I am proud to say that I went on 3 or 4 more multi-day hikes after this one. The comradery, the beauty, and the satisfaction of these hikes make them well-worth it. 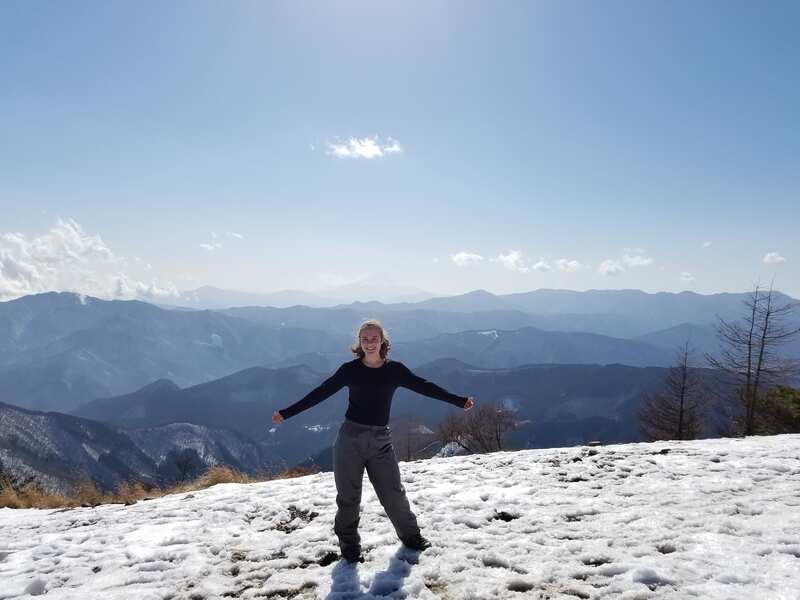 Although hiking was only one tiny aspect of my study abroad, and not even my reason for going, it taught me the most out of all my activities. I think I can confidently say that this is the first time I have ever truly surpassed what I imagined as my own limit. I not only hiked for over 24 hours in the span of three days, I also kept pace with my fellow hikers. It doesn’t sound like much, but it was true torture to me for at least 18 of those hours. This hike was not only a physical battle, but a mental one as well. During those 18 hours, I had many betraying thoughts of giving up, of thinking that I couldn’t take even one more step forward, but even these I managed to subdue by the last day. I was even smiling through the exhaustion! I proved to myself those three days, that limits are meant to be broken. 4) Why is this change/transformation significant or valuable for your life? 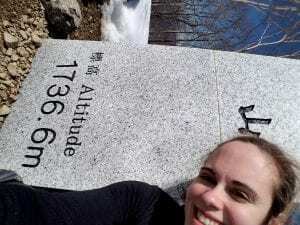 Of course, limits are not the only thing I learned about throughout this trip, but I think it was the most important lesson to me, and the biggest help to my future. It’s one thing to say that you will give 110%, it’s another entirely to actually give it. I can say with confidence that I gave 125% in those three days. Having experienced the pain, but also the rewards, I know that I can continue to do this in the future when something really matters to me. I have big dreams that I want to fulfill, and now I am finally one of the tough ones who will “get going.” Some day in the future, my AI technology will be helping language learners everywhere with their pronunciation and as a speaking partner. It won’t be easy, and I no longer need it to be. I am ready for the challenge. There aren’t many posts, but there are a lot more pictures to enjoy, and lots of sarcasm in a hopefully funny and enjoyable way.